Nearly thirty years ago, when I returned to my birth country to work for the first time, the key phrase in my circle was “Việt Nam is a place, not an event”. Indeed, the mere mention of Vietnam (sic) conjured up images of the (American) war, French colonialism, stateside protest movements, Jane Fonda in Hà Nội, the Cold War, and fight against communism. Rather navel-oriented, “all about us”, images that didn’t leave much space for the country and its peoples to have their own identity. Flash forward to 2019, I could tweak the phrase to “Việt Nam is a place, not a series of picture-perfect postcards”. Run a simple Google search and it’s largely about tourism and pristine-looking beaches (which are mostly not pristine), phenomenal street food, and unfortunately-true horror stories about animal (mainly dogs and cats) being abused, stolen, tortured, killed and eaten – though some progress on that front was noticeable in major cities where locals have pets they care for well. The degree of change took my breath away. I even lost my way in Hà Nội, a city that I’d known like the back of my hand. There was not a single power outage in a month. 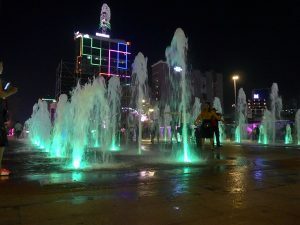 The cities are all aglow as if news of the worldwide need for energy conservation had never reached Việt Nam. Nearly everyone, city and country, young and older, is glued to a smart phone, texting, on Facebook, watching YouTube. Train stations and trains are equipped with large screen TVs on full volume. And USB plugs to charge your phone we don’t even have in France. Night markets and countryside festivities are an invitation to mass karaoke events where even the local công an (military police) takes the mike and belts it out – something which might have gotten him in trouble way back then, but today gets him a bouquet of flowers for his performance. Though over half of Việt Nam’s population is under 30 and never lived through decades of war and privation, the dominant drive is to live for today and earn money because tomorrow is unknown. There is apparently no sense of the consequences of choices made and actions taken. And how can there be? Việt Nam has jumped into the 21st Century’s world without having had the opportunity to live with the game-changing industrial and technological transformations the developed world has experienced. Its drive to catch up and make up for lost time is understandable, Việt Nam’s destiny is not to be a museum! Only recently has the so-called modern world realized the consequences thereof, the mistakes made, and the risks to our planet’s survival. And we are not rushing to implement the necessary measures to limit the damage, financial interests are all-powerful — shame on us. Eternally idealistic, perhaps, I hope that Việt Nam can look critically at what has taken place elsewhere, learn from our mistakes, and avoid the worst of them. There is no time to waste. Việt Nam’s rampant development poses a threat to the country’s future in terms of health, environment, and attractiveness. And let’s not forget air pollution, which is Việt Nam’s silent killer. I got a sore throat in Hà Nội in less than 48 hours. Tourism represents a hefty — and growing — chunk of GDP (total contribution to GDP 13.9% in 2015), keeping pace with the country’s GDP growth, which, at over 6.8% in 2018, was the highest in 11 years. Two aspects in particular claimed my attention and concern. Unbridled construction, with a lack of urban planning, rages from North to South. Industry-construction represents nearly half of Việt Nam’s GDP growth. How long will Việt Nam be able to attract tourists and travelers to its famous beaches, disappearing as I write under wall-to-wall resorts? On the drive from Đà Nẵng to Hội An, for example, the coastline is invisible. Instead, one whizzes past the walls of endless international and domestic resorts. The driver told me only one public beach remains in Đà Nẵng accessible to the local population. Same in Phú Quốc, an island off the Southwestern coast of Việt Nam. Same in Nha Trang, where resort development started early, in the 80s, during the Soviet era. Frenzied development is reaching even the smallest and most remote areas. Bãi Xép, a stamp-sized village south of Quy Nhơn in Central Việt Nam, benefits from two coves: one is a working fishing port, the other graced fairly recently with modest eco-development that coexists intelligently with life in the village, striving to raise consciousness about environmental issues, paying for trash bins and waste collection, and encouraging guests to take a 100-liter garbage bag to help clean up the beach in exchange for a cold beer. I filled mine in less than 15 minutes. Yet smack behind – and I mean inches — the few bungalows, a luxury hotel is under construction. The permit allows for 4 floors. They were well beyond that limit while I was there. Did I mention there is no car access possible (without flattening the village)? 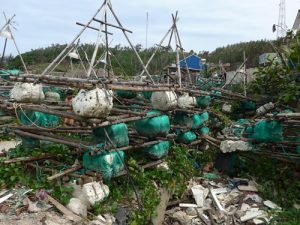 In Bãi Xép again, but the same can be found all over Việt Nam, fishermen use large Styrofoam floaters for their fishing traps. They are cheap, light, and easy to manoeuver. Problem is they disintegrate easily. Fish eat it, thus humans ingest it, and much of it ends up on the beach. I tried to talk with some of the fisherman, trying to explain that plastic will kill their food supply and source of income and will over time damage their health. Their answer says it all: We caught fish yesterday, we caught fish today, there is no problem; we will catch fish tomorrow. All it would take is a viable alternative and information to understand the challenges. Pan Hou – The mowing service finished for the day. 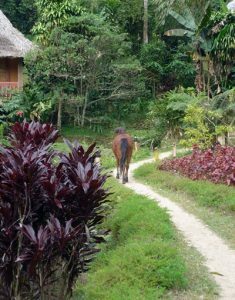 There is a smattering of eco-tourism development, largely driven, as in Bãi Xép, by foreign entrepreneurs who seek out the most remote and unspoiled areas, work with the local villages and provide employment. They take phenomenal risks; their land-use contracts run only 5 years and renewals are not automatic. Yet how long will places like Pan Hou Village in Hoàng Su Phì be able to preserve local authenticity and modes of living when there are plans to turn Hà Giang into another Sa Pa, with highway connection between Hà Giang and Cao Bằng provinces and a high-speed train to Hà Nội? To the left, a lovely cascade. At least one contrast leaves me perplexed. One can often see people sweeping major roads and highways to limit the amount of dust. A grueling task mostly done by women, who also make up the majority of the sanitation workers in Hà Nội. 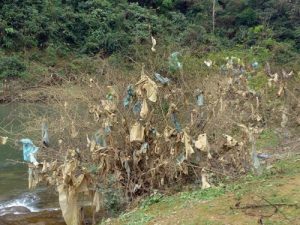 Yet right by a lovely cascade up in Quảng Uyên district in Cao Bằng province are trees covered with disintegrating plastic. When the nearby dam was put in service and the water receded, the previously-immersed trees caught the rubbish in the water. Though an area attractive to travelers keen to go off the beaten path and learn, no one has thought of removing the hideous and environmentally-toxic plastic. As if it was invisible to locals (whose homes, I must underscore, are very clean). As if it was innocuous. To the right, disintegrating plastic covers trees. Not unique, but more to lose? Such problems, and others, exist in most fast-developing countries. Việt Nam is not unique in this regard, even if the manner in which the country is spoken about often is frustratingly reductionist. I care more, admittedly, because of my deep attachment to this country. 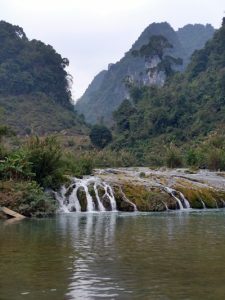 Also, Việt Nam is blessed with spectacular nature and landscapes that are being forever destroyed faster than I can type. Some places I had known or had wanted to discover I chose not to go to on this trip: Đà Lạt, Vũng Tàu, Nha Trang, Sa Pa, and instead of Hạ Long Bay, I went to its little sister Lan Ha, still largely preserved, but for how long? I knew that what I’d see there would infuse me with profound sadness of what Việt Nam has already lost and its oh so young population would never know had existed. Yes, generally-speaking, materially-speaking, people now live better in Việt Nam. Average life expectancy has risen from 65.9 in 1990 to 76.3 in 2016. The poverty rate has dropped 75% in the past 30 years. The energy, optimism, and entrepreneurship palpable all over the country are contagious. It’s inebriating, particularly when coming from France where folks, especially youth, have little hope of a better future. 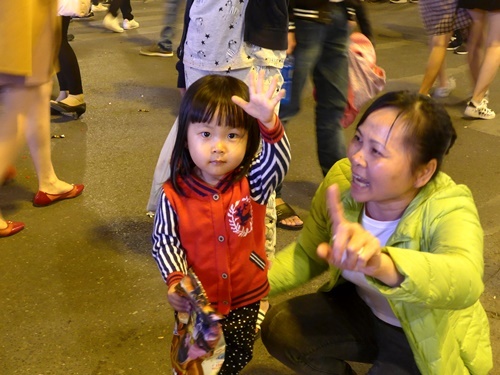 A 2015 Pew Research Center survey of economic sentiment worldwide had shown “the most optimistic about prospects for the next generation are the Vietnamese (91%)….. The most doubtful about the next generation’s prospects are the French (14% optimistic), Italians (15%) and Japanese (18%).” Spot on. Imagine if one could take all this energy and imagination and channel it to transform unbridled development into sustainable development? I want to believe it is possible. I want to believe that it is not too late for Việt Nam. I want to believe that it can become an example of a modernizing society wise in leveraging and preserving its environmental assets in the interest, first and foremost, of its own population. If your house is clean, it is cooler to live in. If your bowl is clean, you enjoy your rice more. Giấy rách giữ lấy lề. Even when the sheet of paper is torn, we must keep the margin. All it takes is knowledge (education – to have the tools to make a difference) and determination (public policy). The upcoming generations deserve nothing less.